Sorry, this job expired on Jan 26, 2018. Below are other jobs that may be of interest to you. Bittersweet is looking for an experienced professional Sous Chef, working hours are required Tuesday through Saturday, totaling approximately 40 to 50 hours a week. This opportunity will demand a high level of commitment, work ethic, and creativity and has the potential to be a rewarding career experience. Your success will depend on your self-motivated ability to create a unique, seasonal as well as ever changing menu. Though direction and supervision is provided, you will be responsible to self-manage and create on your own. Any candidate must be with others and on their own. Our kitchen requires a team-work attitude and engagement with others on a daily basis. Advanced to expert culinary knowledge required, but a degree is not necessary. You will be required to participate in additional duties including but not limited to aiding others with daily prep as needed, help other team members plate items during service, daily and weekly cleaning projects, putting your own order together, etc. Bittersweet sources the best ingredients from local farms as well as our own garden from which you will be encouraged to take your inspiration. Scratch cooking is required for all aspects of each dish. If you are used to thawing frozen product from a box, please do not apply. This is not a learn-on-the-job type of position. Culinary skills and recipes must be honed; however creativity will be fostered during your time with us. The bittersweet team has an artisanal approach to hand crafted, playful and artfully created food that is not only grounded in fundamental culinary techniques but our verve for the Avant Garde. We make everything we can in-house using the best possible ingredients. By sourcing from local farms and fisheries, and partnering with those who take our same care and approach to their harvesting and herding—we offer food that is fresh, seasonal and artisanal. 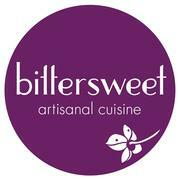 Since opening in 2010 the Bittersweet team has succesfully delivered a intimate and creative dining experience for the Denver community. The restaurant has been placed on the 5280 top 25 list of restaurants every year it has operated, among numerous other accolades.